How is it going with your scenery updates? It has been a while since you've posted any new pics. I am trying to upload the Gilberts pack and keep getting an error message informing me that the file is too large for the file type. It is a standard zip file, slightly over 6MB in size. 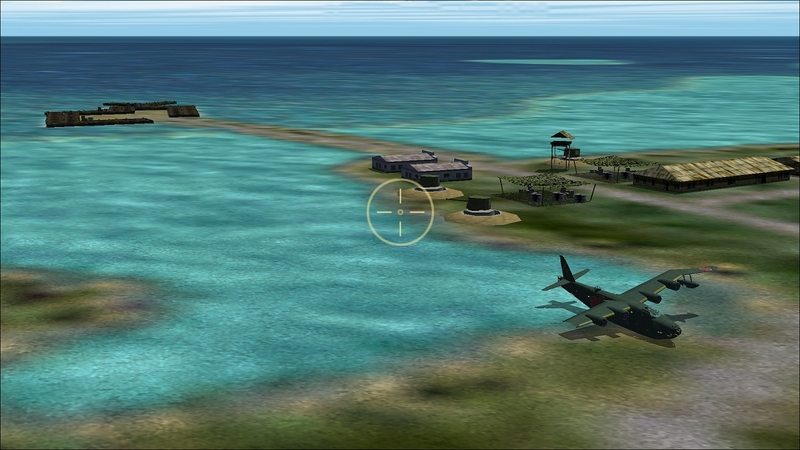 Description:A nice little collection of airfields located in the Kiribati, Gilbert Islands. The pack includes Makin Island, Butaritari Island, Abaiang Atoll, Marakei Atoll, Tarawa Atoll (2 airfields), Maiana Atoll, Kuria island, Aranuka Island, Abemama Atoll, Nonouti Atoll, Tabituea Atoll (2 airfields), Onotoa Atoll, Tamana Island, Beru Island, Nikunau Island and Arorae Island. All of the usual credits are included in the readme file however a couple of notable credits deserve mention for the contributions to this scenery in particular. First let me say a great big thanks you to Kevin Driver for Beta-Testing and helping to develop the scenery bgls to make them more efficient. Second, Robert Sprackland for coming through with a neat little searchlight scenery object when it was needed. Thank you Robert! Robert's searchlight is included in the scenery pack. Also, I should mention that I made use of a lot of scenery objects developed by No Dice for his Viet Nam project. I listed all of the included No Dice scenery packs in the readme. I also provided the link at my website and here to the FreeFlightSite webpage where they can be found. Thanks Dave! BTW, this scenery is meant to be used with Rhumba's mesh. Hopefully everyone will have as much fun with it as I had making it! PS: BTW here is a link to my Gilberts picture album so everyone can get an idea of what these airfields are supposed to look like. PS: Just uploaded a slightly modified version. Nothing at all to do with the scenery. Just changed the wording in the mr-gilbert-islands-acs-gps-related-readme file from "Personally I would fly without it!" to "Personally I wouldn’t fly without it!". Last edited by MaskRider; February 16th, 2019 at 09:30. You wouldn't have been trying to upload the 6mb file where the picture should be and vica versa.....??? 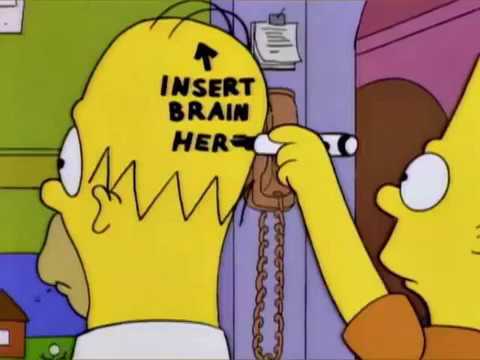 p.s Wouldn't be the first time I've tried doing that...dohhh! Okay, I read above that the Gilberts package is being uploaded. I'm gonna grab that when I get home. What's next mate? Very nice, mate! Looks like I'll have to dust off my Pacific installs again. These modified readme files have no effect whatsoever on the scenery itself. They just clarify a few syntactic/grammatical issues in the respective readmes. THE DOWNLOAD CURRENTLY AVAILABLE HERE AT SOH ALREADY CONTAINS THESE UPDATED READMES. Only the first 5 or 6 downloads contained the unmodified readmes. No biggie. Just a bit of gravel I needed to shake out of my shoe! 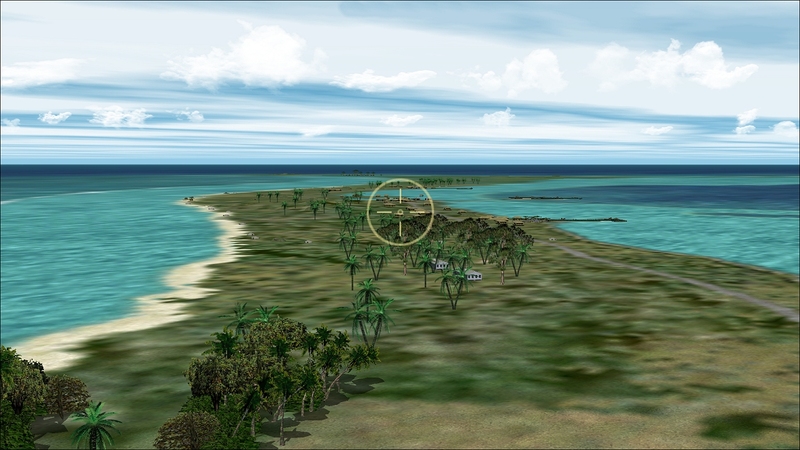 Avoiding possible scenery conflicts: Deactivate any MR Micronesia (MN) scenery folder you may have installed. 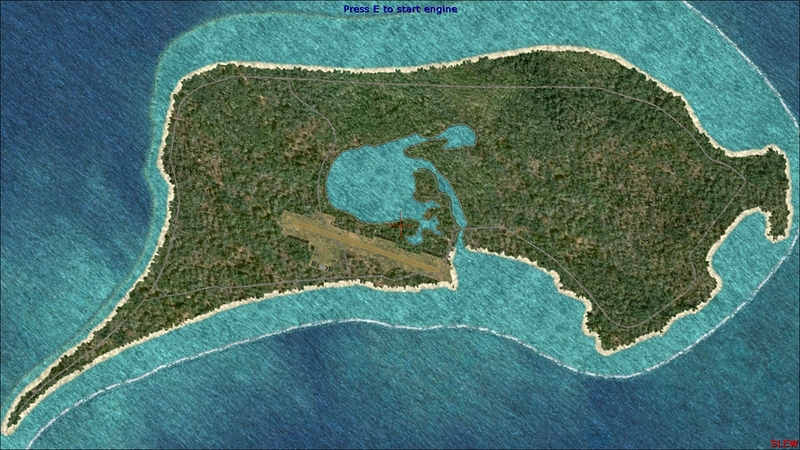 These new Gilbert Islands airfields will conflict with quite a few of the airfields in the MR Micronesia pack. Seems that i have a lot of your old MR_Micronesia_100707 bases which are actually NOT represented by name in the new package. Since there's no obvious conflict with between these and the new names, would these still need to be deactivated? Yes, I guess I should have taken the time and done this already. Also, remember that these listed airfields from 100707 were built to fit stock masks (and stock mesh, what little there is of it). Pretty sure that the listed airfields were also API macro based- not GSL. Not all of the airfields in 100707 were built to fit stock mesh and masks with API macros instead of GSL. But these particular ones were. This new pack is built specifically to fit Rhumba mesh. 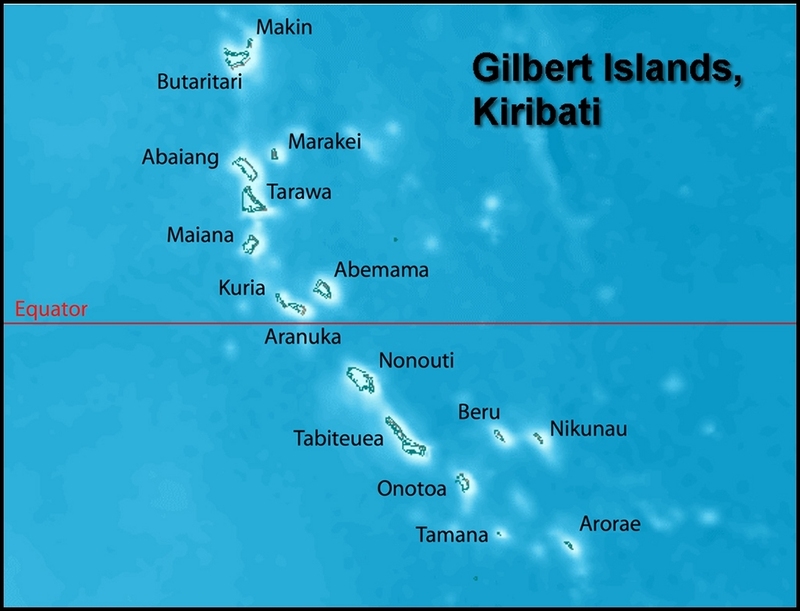 There is actually a significant amount of elevation to many of the islands in the Gilberts pack. Last edited by MaskRider; February 16th, 2019 at 16:39. Check my edited post. It might make it a bit easier. I too wondered about this issue. Thanks MR for the clarification and thank you for the wonderful package. Looks like I will have to traverse the globe and fast forward more than 20 years. Your Gilbert Islands pack is a definite must have Chris. Off to download it now. Thanks a lot for the great feedback. Find attached mr-gilbert-islands-replacement-readmes-2.zip containing modified readmes specifically listing the files from Micronesia 100707 that need to be removed from the scenery folder and set aside. And/or you could also deactivate the entire mr_micronesia_100707 folder. The gilberts downlaod currently available contains this latest modification to the readme. Again, thanks for the help. Should have done it to begin with! Yes, you are correct. There was a time, many scenery packs and years ago, when I used to install the G2K-generated exclude bgls (the ones that make stock roads, shorelines, and rivers disappear) and water mask bgls (the bgls that make the stock land disappear) into the scenedb folder. But I stopped doing it quite a while back because under certain circumstances (the details of which escape me right now) it would cause the sim to crash. So now I keep them out of any of the default "master" CFS2 folders and restrict them only to folders associated directly with a particular scenery area. There was quite a discussion about it several years ago in a rather lengthy thread. Thanks for all the "Thank-yous" guys. But don't just be glad-handing me. If anyone is having any issues with this scenery be sure to let me know, here on this thread. Also, one other thing that might cause an issue. 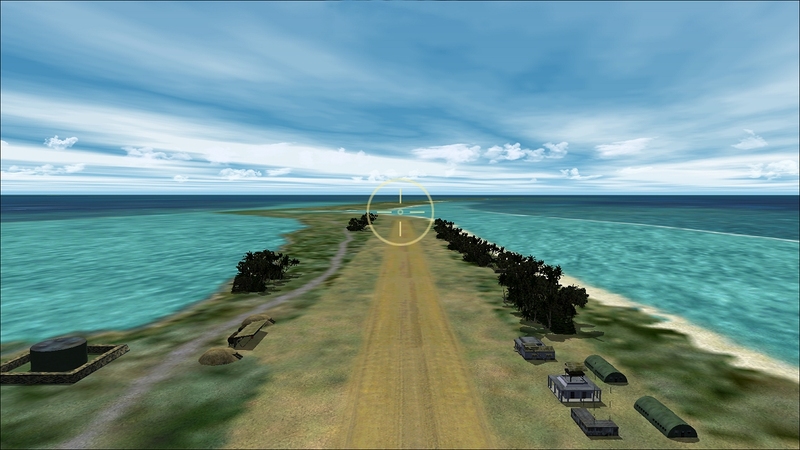 I used the default B24 as a scenery object at Bonriki Airfield, Tarawa. It shouldn't be a issue but it might be. Let me know and, oh, yeah, I almost forgot- hows about posting a few screenies! Thanks for posting the screenies. Its good for me to get to see what everyone's installs looks like. For comparison sake I took these screenshots from my install of Butaritari. 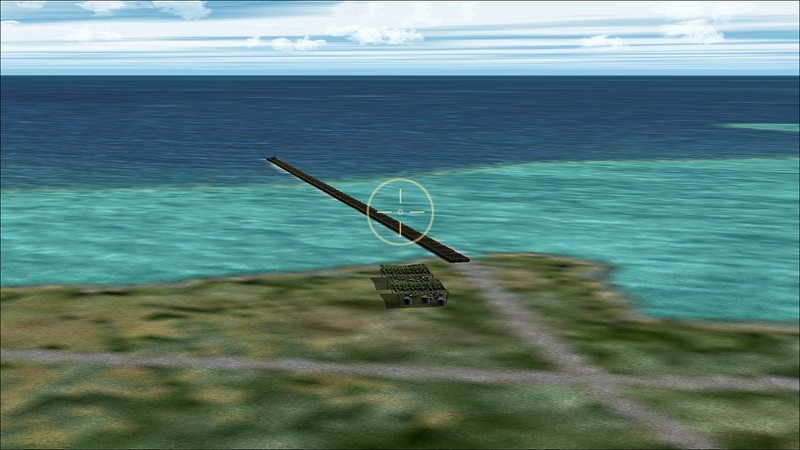 The first is a view to the east from the end of the default runway (slightly elevated using slew). then to the north and then to the west. Last edited by Shadow Wolf 07; February 18th, 2019 at 12:21. Now Hear This! Now Hear This! MaskRider, arriving! I just realized that I forgot to include in the Gilberts pack a very important scenery object that sits on the beach on Butaritari Island. Namely the Kawanishi Emily Wreck generously donated by Shessi about the same time that he released his excellent Kawanishi Emily package. This wrecked Emily was used by the Japanese as a snipers nest during the battle for Butaritari Island. It is a stand alone, non-placeable object permanently anchored in the small inlet just south of Kings wharf. You may already have a folder where you install such objects. My suggestion for installing it would be to create a folder either in your main CFS2 folder or else in your SCENEDB folder and name it "Misc Scenery Objects" with a scenery and texture sub-folder. Place the Kawanishi Emily Wreck scenery and texture files in the proper folder and then activate the folder. I will add it to the download here at SOH and attach it to this post. That is all. Resume normal in-port daily routine. Last edited by MaskRider; February 18th, 2019 at 13:09. Greg, could you post a top down view of Makin for me. Something just isn't right. All times are GMT -8. The time now is 00:11.